Problem Statement Because women with substance use, mental health and/or gambling issues have significant difficulty accessing traditional, office-based primary health care, the Jean Tweed Centre offers services (including direct care and referral services) to clients through videoconference (Ontario Telemedicine Network) in a number of its programs. While the outcomes of this service have been positive, broader uptake in the agency’s Pathways outreach program, which serves a particularly vulnerable and marginalized population, has been less than anticipated. Aim By June 30, 2017, 100 percent of clients in the Pathways outreach program, who have been identified as having an unmet primary health care need, will be offered person centered primary health care services, either in person or through the Ontario Telemedicine Network (OTN). EQIP Support to the Project: QI coach: Laura Daly-Trottier Data Coach: Nicole Adkin Project Overview The Jean Tweed Centre (JTC) in Toronto is a community-based organization that provides a safe and supportive environment for women with substance use, mental health, and/or gambling issues. The JTC recognizes that women and their families have unique needs when seeking support, and offers a range of services that are responsive to the context of women’s lives. This includes primary health care services offered through OTN, which can help reduce the barriers women experience when trying to access services in person. 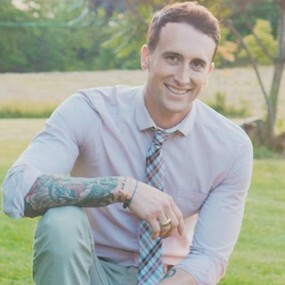 Despite the availability of this primary care service across the agency, use of OTN was limited in the Pathways program – an outreach program that supports pregnant and parenting women with substance use issues. The opportunity to explore this challenge through the EQIP initiative was a welcome opportunity for JTC. Application of the Fishbone exercise revealed that not all staff knew when a referral to the program was appropriate, and, when they did, most preferred not to use OTN to connect clients to the agency’s Nurse Practitioner. A number of root causes were unveiled with the use of the 5 Why analysis, including the need for training, support and resources. Using the PDSA – Plan, Do, Study, Act – process, a number of change ideas were tested to tackle root causes, including creating resources to support staff to refer to this service, and training and resources to support effective use of OTN. As April Furlong, EQIP Co-Lead, explains, “The process helped us get past the assumption that the technology was always the main problem. With new assessment guidelines in place we are starting to support staff to identify the need for this service.” Chelsea Kirkby, EQIP Co-Lead, adds, “The E-QIP tools and templates, as well as the support of our coach, encouraged us to be concrete, focused and comprehensive.” The Jean Tweed Centre has evidence that primary health services offered though OTN has reduced barriers to accessing treatment and that clients are highly satisfied with the program. Through the E-QIP initiative, the agency now has the tools to increase the reach of this service to clients served in its outreach program. This is a great example of how a focus on Quality Improvement can increase access to services for those who need them most. By streamlining the process for health service providers and clients to contact the staff at St. Jude’s Community House, clients will experience an easier transition back to their homes, and hopefully reduce the rates of re-admission to hospital because of the lack of follow up care. Through their involvement with EQIP, St. Jude’s is hoping to make a habit of quality improvement. Through an analysis of the data, they were able to debunk the myth that there were a high number of repeat offenders, and they were able to commend themselves for being more consistent than they thought about restrictions for violence. The St. Stephen’s Community House Corner Drop-in QI project is an important reminder that there are innovative solutions to some of the most challenging problems. For those people who use the Corner Drop-in, having a better, more consistent process for managing service restrictions means they will have more access to a warm meal and community supports. For this highly vulnerable population, that could be the difference between life and death. The team found that the first two ideas were very effective, while random visits to ERs were completely ineffective. The CWMS team have worked extensively with one of the five ERs in their region, and through that single partnership, the team has seen a notable increase in referrals. The team is now building on the lessons learned from that first ER as they begin working with a second ER. From that one hospital, the team has had nine referrals. It’s a huge step forward over the number of referrals – zero – that they received over the same period last year. Cheryl Chute, the project lead, celebrated the team’s achievement. “I never realized that doing small things would make such a big impact,” she said. CWMS’s QI coach, Laura Daly-Trottier, was equally impressed by the team’s vision and perseverance. “They took the QI bull by the horns and they really used the concepts to make a difference. One of their ideas didn’t work, but that didn’t stop them. They kept pressing forward.” The CWMS EQIP project tackles a very significant system challenge: the “emergency room revolving door.” They’ve already made a difference for nine people who wouldn’t have been referred to withdrawal services at the same time last year. And we know this is just the beginning. Project Overview Peer support is not the first thing that comes to mind when we think about what we can do to improve the experience and outcomes for those accessing mental health and addiction services. But the Mississauga Halton LHIN’s System Integration Group for Mental Health and Addictions (SIGMHA) identified peer supports as the highest priority for addressing mental health and addiction service needs in their region in 2014/2015. The MH LHIN’s Enhancing and Sustaining Peer Support initiative, led by Support and Housing-Halton through its peer support initiative: TEACH (Teach Empower Advocate Community Health) has been in place since 2015 to address this priority area. Widespread throughout the MH LHIN area, the initiative has 40 paid peer positions embedded across 11 accredited LHIN-funded health care organizations including hospitals and community providers. The initiative is making a difference in the health outcomes for those living with mental health and addictions. It provides hope, empowerment and self-determination to individuals, supports recovery-oriented practice within health care organizations through consultation and conversations with co-workers, peer workers, peer supervisors and leaders within the partner health care organizations. Altogether, this helps create workplaces focused on personal self-care and wellness. The team knows that peer support is not always well understood within the formal walls of the health care system. The TEACH team immediately recognized the opportunity of getting additional QI support from E-QIP’s province-wide initiative to enhance their work to increase the understanding of the value of peer support. “It was a perfect opportunity for us to add more QI bench-strength and knowledge to our project,” said Betty-Lou. “Equally important, it was an opportunity to collaborate with like-minded organizations across Ontario, and even showcase our work so that many more people living with mental health and/or addiction issues in our province can benefit from peer support as part of their formalized health care interaction. 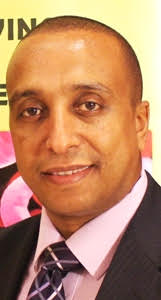 Being involved with E-QIP has given the work even more focus.” They’ve learned ways to use QI mechanisms such as Root Cause Analysis, Fishbone Diagram, The 5 Whys and Pareto Charting to identify their problem statement, root cause, change ideas, triangulate scope / boundaries, create an aim statement, identify key milestones/ timelines and develop barriers and mitigation strategies. All these tools led them to develop their E-QIP Project Charter. Through this work, ultimately, everyone agreed that the root cause of the re-occurring issue of clarity and definition of peer support roles. Peer Support is based on values including: hope and recovery; self-determination; empathetic and equal relationships; dignity, respect and social inclusion; integrity, authenticity and trust; health and wellness, and; lifelong learning and personal growth. They want to determine the degree to which these values are perceived to be present by people receiving peer services. The results of this will drive additional QI processes regarding trainings, support, organizational culture and philosophy shifts to foster values based peer support. As Laura explains, “They have applied the tools in a practical way, sharing their new found knowledge with others helping to increase the capacity for quality improvement in the sector.” Their work has already inspired comments like this from a person who received peer support, “Peer support was a life saver for me. It was the first time that I felt someone understood me from over a dozen hospital admissions where there had been no peer workers.” With their continued focus, their work will reach more people with mental health and addiction problems. Project Overview Seeking treatment is often a big step for someone dealing with a mental health problem. Access to services starts with an assessment, followed by a wait for services to start. At Canadian Mental Health Association Middlesex, they knew their wait times from assessment to service initiation were too long. With the support from the EQIP initiative, CMHA Middlesex hopes to reduce the ‘avoidable’ wait times significantly. Run charts for 2015 and 2016 were done to look at the average days waited between assessment and when the client first started receiving services. In 2015, it ranged from 150 days to up to 225 days. In 2016, it was as low as less than 100 days and as high as 250 days. The team then used a Fishbone diagram, the 5 Whys tool and a Driver Diagram to identify root causes. Based on what they learned through the diagnostic tools, they developed a future state process map so that the entire team could visualize where they were going and what they were aiming for. Not only will this reduce the wait time for services, it will also improve the patient experience and the continuity of care. The biggest change that is being implemented as a result of this QI project is that CMHA Middlesex is creating a new service model. Specifically, intake workers will become case managers which will help in avoiding the need for clients to tell their story multiple times, create more connection to the crisis service and have seamless follow up with those accessing those services. Not only will this reduce the wait time for services, it will also improve the patient experience and the continuity of care. CMHA Middlesex hopes to spread this shift in job function even further, to improve more services for clients. CMHA Middlesex experienced some resistance to the idea of a QI project at the outset. But that shines the light on an important lesson, explains Jennifer Dowsett, “There was some staff resistant at first, but by participating in the process, we were able to build trust and cooperation, and we’re pleased that our team is on board now.” Now they hope to spread their learning across the organization. Project Overview Running is hard. But Ottawa Salus Support Housing and Mental Health Services, that fact doesn’t deter the Recreation Therapy staff who offer a Running Group as a positive recovery focussed program for a small number of clients. Although there is anecdotal information and examples of the importance and impact of the running program on participant’s recovery, there has never been a formal way to capture data on the client experience. The EQIP initiative is about to change that. The Ottawa Salus group used many of the EQIP tools to better understand the situation, and identify the root cause analysis. Although their focus is to get more participants in the running group, and for participants to maintain running as a key component of their recovery longer term, they knew they had to start one step behind that – to collect data about the running experience. The lightbulb moment for this team came early on, when they were at an EQIP training session. It was then that we realized we needed to get feedback directly from the participants to inform their improvement focus. They used Experience-Based Co-Design methods, starting with an emotions statement for each step in the process. “Seeing the enthusiasm from the team when they heard the feedback from participants, was really inspiring and encouraging for the RTs who oversee the running group,” explains Joanne Cormack, Project Lead. To see and hear the progress from the beginning of the process to the end, gave insight to those running the group. After identifying the root causes of why running is hard, the team was able to identify some change ideas including – taking training slowly, having previous runners talk to new group members, providing education sessions on key techniques important for running, offering flexibility in running schedules, among others. As their next step, the results will be presented back to the participants, and together they will focus their improvement work on the ones that will help them work towards their next goal: how to increase participation in the group, and increase the number of people who sustain running long term. Their change ideas are focused on supporting staff to consistently complete RPs with each client, and have offered workshops. Their post-recovery plan workshop showed that 30% of staff were still struggling with specific aspects of completing the plan, so the QI team is adding individualized support to address that challenge. “The impact of this project has extended far and wide at this CMHA branch.” According to the Kathy King, QI Team Lead, “Our clients play a major role in the development of our change ideas.” The impact of this project has extended far and wide at this CMHA branch. In fact, Clark MacFarlane, the Executive Director, has starting using a QI lens in everything they do, including the little things. Omer Ducharme, the Executive Sponsor for the EQIP project, summed it up well, “We’ve always had a commitment to quality because we know the better we get, the better the services will be for our clients.” And that’s what it’s all about. Project Overview Proper hand hygiene is one of the most effective ways to reduce the spread of illness. At Canadian Mental Health Association Sudbury/Manitoulin, they recognized that there was an inconsistent approach to hand hygiene across their sites, and they weren’t able to measure compliance because self-audits weren’t completed consistently. They used run charts to look at the cold and flu rates among staff by quarter, and to look at compliance rates with the four moments of hand hygiene. They dug deeper into the challenge by using the Fishbone exercise to identify the root causes. They also used a Pareto Chart to explore the question, “How can we improve the hand hygiene process to be sure that all staff are participating in the self-audit and that we are monitoring the practice of healthy hand hygiene practices every day of the year?” Through these tools, a number of key root causes became clear, including the fact that hand hygiene compliance messaging was tied to accreditation, and not to staff health and safety. The self-audits were done infrequently, using a paper-based tool that was not user-friendly. To add to the inconsistency, staff didn’t see the value in completing the self-audits. Finally, being across four sites adds to the inconsistencies in approach – and there are no hand hygiene site champions. The team agreed to start by creating an online self-audit hand hygiene tool, which is being tested through a PDSA – Plan, Do, Study, Act – cycle. 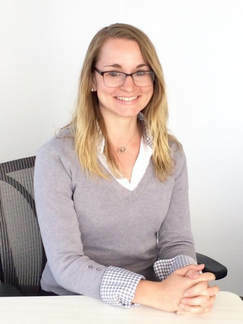 “We are already using the QI tools in other projects, and have reviewed and revised our QI plan in light of our new knowledge.” For Jessica Suban, “This is just a starting point. Even though the scope was narrow, the team gained a lot from their participation in the project. We are already using the QI tools in other projects, and have reviewed and revised our QI plan in light of our new knowledge.” Hand hygiene compliance is a common challenge in many organizations. The learnings from this project can inform and inspire others to tackle this issue as well. “I now recognize the importance of taking the time to use the data.” For Sandy Woodhouse, the project lead, this process was incredibly insightful. As she says, “I now recognize the importance of taking the time to use the data. What we discovered was that there’s no magic bullet to solve the challenges, but there are things we can do – and the visual diagrams are helpful in identifying challenges and opportunities. Most importantly, we can never forget about the people side of change – this takes time and patience.” At Catering Plus, the opportunity to participate in and learn from the EQIP initiative may truly be the difference between being employed or unemployed for people in their region living with mental health challenges or barriers to employment. This is a powerful example of the life-changing impact that a focus on Quality Improvement can have on people’s lives. Project Overview The Assertive Community Treatment Team (ACTT) services see some of the most vulnerable people with mental illness, and support them to live in the community. CMHA Kenora Branch recognized that the flow-through of clients in their ACTT team was quite slow, and there was an assumption that they were keeping clients on the ACTT caseload longer than they needed to. This meant that the wait list for services is very long for others who need this high degree of support to live in the community. Through the Be Mind Full EQIP project, their aim was to increase the ACTT fluidity. At the diagnostic step, it became clear that the insurmountable root cause of the lack of fluidity was that there was a complete gap in services — there is no step-down service to transition clients to, and no psycho-geriatric outpatient services, and very limited services for anyone over the age of 55 with mental health issues. In retrospect, perhaps the team should have concluded this focus and project after the diagnostic phase when this insurmountable challenge was discovered. However, the team pushed forward, and there were some creative solutions that were identified, including creating a step-down service within CMHA’s existing ACTT. Despite the fact that they weren’t able to move through all the QI tools, the team and other colleagues at CMHA Kenora still learned a lot. Equally importantly, the ACTT team felt valued and appreciated by being included in the discussion and idea development for program changes. It was a good team building experience. “By working through the critical thinking, diagnostic tools and project charter for this work, the team has gained a better understanding and appreciation of the QI process.” “By working through the critical thinking, diagnostic tools and project charter for this work, the team has gained a better understanding and appreciation of the QI process,” explains Kim Elke, CMHA QI Coordinator and EQIP coach. “We’ll definitely be using these tool in other projects in the future.” CMHA Kenora’s project serves as an important reminder that not all projects are a huge success, but it’s important to learn from them and move forward. “There’s a lot of growth and innovation that happens with failure, and we’re making the most of that,” says Kim Elke. You may see the range of projects that E-QIP has worked with over the first cohort of projects profiled here. 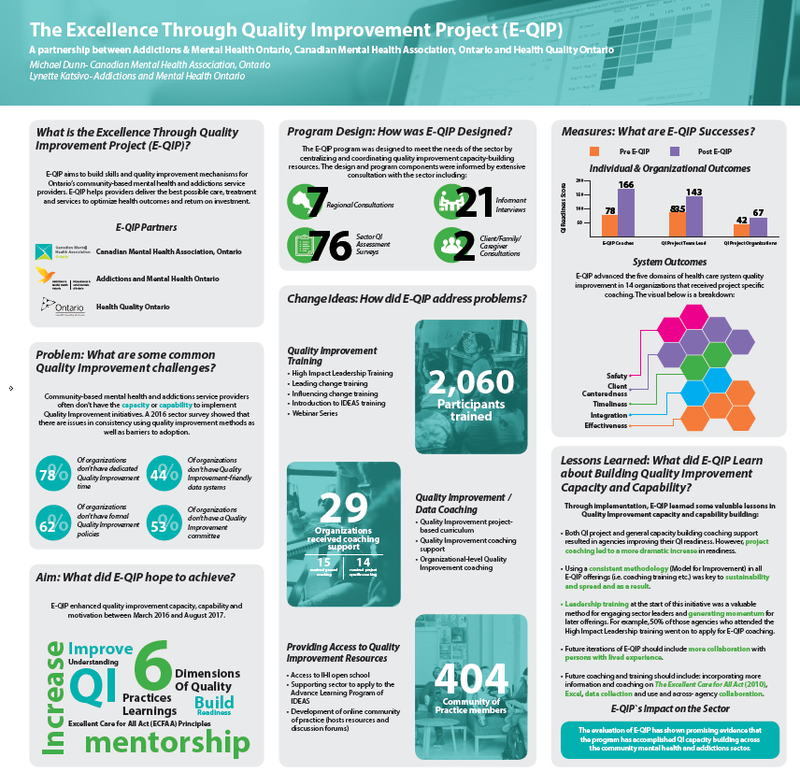 Join others in the sector by sharing QI expertise, tools and resources as we build a culture of QI across the province by becoming a member of E-QIP’s online CoP through Quorum. Quorum is Health Quality Ontario’s online space for collaborating with other healthcare providers that aer using quality improvement methods and tools to enhance healthcare services for Ontarians. Check out the recordings of our latest webinars below. Subscribe to our newsletter to be notified of upcoming webinars. Jenna has been an E-QIP team member since it’s inception in the spring of 2016. 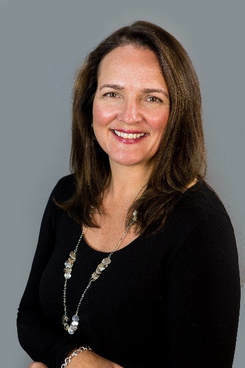 She has led the adaptation and delivery of the Foundations of QI program (IDEAS) for Ontario’s community mental health and addictions sector that has trained over 400 people to date. With the support of the sector, she also played a key role in launching E-QIP’s growing online Community of Practice. Her professional experience in mental health and addictions started at CMHA Ontario, where she supported a wide-range of provincial projects in areas such as data and performance measurement, quality improvement, primary care, and police-hospital transitions. Jenna is motivated by service providers that are eager to learn how to improve care for their clients. She believes that E-QIP is providing the required tools and supports to empower the community mental health and addictions sector to make impactful changes to the clients they serve. She looks forward to continuing her involvement with E-QIP and working with a client-cente red sector that is dedicated to improving together. Jenna has recently graduated from the Master of Science in Healthcare Quality (MScHQ) program from Queen’s and received a Bachelor of Health Sciences from Western University where her drive for leading effective change for Ontario’s healthcare system was ignited. Jenna proudly serves as the Vice Chair for St. Jude Community Homes, a supportive housing agency in Toronto, and volunteers as a dog walker at the Humane Society. 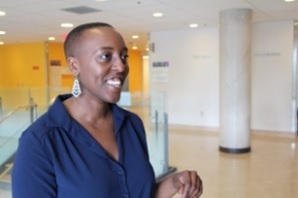 Ashley received her Bachelors of Arts in psychology from the University of Guelph as well as completed a post graduate certificate in human resources management from George Brown College. During her professional career Ashley has worked within the not for profit sector and gained valuable experience in both front line support and program management. Ashley currently lives in downtown Toronto with her wife and two dogs, Darwin and Homer. In her free time she enjoys cooking, travelling and spending time with friends and family. 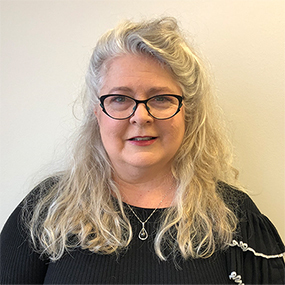 Nicole has been with ConnexOntario since 2008, starting in the role of Health Data Liaison, working with individuals at organizations across Ontario to maintain the accuracy and quality of the mental health and addictions program information in our database. In 2014, she moved to her current role of Manager, Health Data Management responsible for the maintenance of ConnexOntario’s helpline databases. This role also allows her to work on internal and external projects on a local, regional, and provincial scale. Nicole also serves on the CMHA Middlesex Board of Directors. During the first round of EQIP funding, Nicole feels fortunate that she took on the role of Data Coach. She loved working with organizations and seeing them make such great progress with their projects. Because of this positive experience, she is continuing her coaching role with E-QIP. She believes that quality improvement practises and incorporating data in planning and decision-making are very important in the mental health and addictions sector. QI and data coaching gives service providers the tools and knowledge to continually build on their successes. Laura Daly-Trottier, seconded from CMHA Nipissing Regional Branch, in the North East LHIN, delivers Quality Improvement Coaching through Excellence through Quality Improvement Project (E-QIP). Since October 2016 Laura has delivered Quality Improvement Coaching to member organizations in the Mental Health and Addictions sector throughout the province of Ontario in an effort to increase the capacity for Quality Improvement. 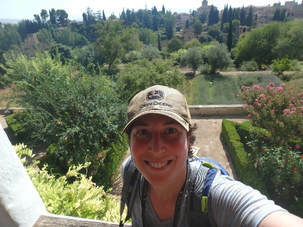 Laura knows firsthand the importance of using a structured approach to Quality Improvement as well as recognizing that each initiative is unique with its own set of values and purpose. 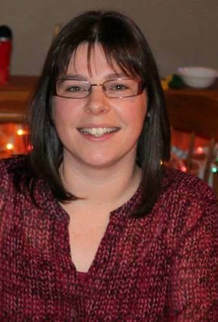 Prior to working with E-QIP, Laura Daly-Trottier worked as a Quality Coordinator at CMHA Nipissing where her focus was to ensure that service standards were met as well as overseeing the development and maintenance of the agencies quality assurance and improvement systems, including the continual monitoring of the agency’s client data management system. Laura was responsible for coordinating and implementing staff orientation and training events and was a contributing member of the Governing Health and Safety Committee. She is also trained facilitator for The Living Life to the Full program at CMHA Nipissing. 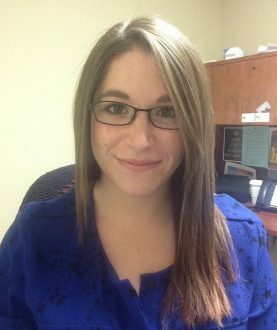 Laura served on the NE LHIN Implementation Team in 2016 for the Ontario Perception of Care Tool acting as the Agency Lead at CMHA Nipissing. Laura thoroughly enjoys providing coaching supports through the offerings of E-QIP and is passionate about improving care in a meaningful way for service recipients, friends, families and service providers.